Speed Review: Do You Matter? More and more companies are coming to understand the competitive advantage offered by outstanding design. But delivering great designs is not easy. 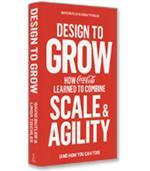 The secret: building a truly design-driven business, in which design is central to everything you do. In Do You Matter? legendary industrial designer Robert Brunner (who laid the groundwork for Apple's brilliant design language) and Stewart Emery (Success Built to Last) show how to do precisely that. Target epitomizes it. Starbucks had it, then lost it. Apple has it in spades –– look at the Mac, iPod and iPhone if you want a few examples. It is design. And it is not just the design of a product; it is the design of the entire company. 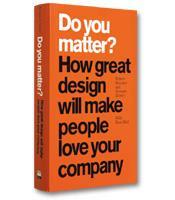 In their new book, Do You Matter? 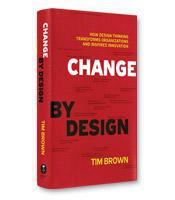 : How Great Design Will Make People Love Your Company, authors Robert Brunner, Stewart Emery and Russ Hall argue that every part of a business deserves a design review. Do You Matter? is not a classic how-to book. In fact, designers may find it a rather elementary read. Instead, it tries to show CEOs, managers and others why design is essential to a company, its people and its clients. The authors aim their message at anyone who cringes at spending money on making everyday objects look better or different. And they want the attention of anyone who believes a singular, well-designed object is the only thing that matters to a customer. The book asks companies to think through every part of their business –– from product design to manufacturing to customer service. Generating a culture where every detail matters is the first step toward greatness, the authors argue. The next step is somewhat more challenging. Companies that come up with a killer product have the opportunity to spread that positive energy to everything they do. That means they need to create lots of places and opportunities for consumers to embrace the product in their hearts and minds. A customer has to connect with a design, product or company in such a fundamental way that he or she cannot live without it –– or, at least, that is what he or she should believe. Finding ways to develop this passionate loyalty between customers and their products is the ultimate goal of any enterprise, the authors say. Consider Target. Yes, it is a discount retail store, much like Wal-Mart and Kmart. But it is far more to its customers, who have totally bought into the chain’s slogan of “Expect More, Pay Less.” Their shoppers are more affluent and influential than the average discount store shopper, and it shows in everything Target does. Target thinks about every product it sells and how it sells it. They hire the latest fashion and home décor designers to develop new product lines. They constantly refresh their stores to look and feel upscale. They put out some of the most stylish advertisements in the retail industry. Does that sound like Kmart to you? Compare this with Starbucks. When the coffee chain started, the first thing that grabbed customers was the unique coffee flavor. Then they fell for the shop’s atmosphere. It was like sipping cappuccino in Italy, and America was smitten. All this, despite paying nearly $4 for a simple cup of java. Fast-forward to more recent times. Starbucks replaced some of its old-fashioned coffee-making equipment with more cost- and time-efficient models. The result was minimal, but customers felt the difference in the taste and smell of the shops. Gone was the intoxicating coffee aroma. Instead, the experience felt flat. Suddenly, it did matter that there was a Starbucks on every corner because each one felt stale and disappointing. And, of course, there is Apple. As director of industrial design at Apple Computer, Brunner founded the company’s influential Industrial Design Group and developed the original Macintosh PowerBook, Newton, and 20th Anniversary Mac, which was the prelude to the iMac. In the end, Do You Matter? is something of a tribute to Apple and the other example companies. 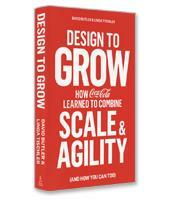 But it also offers inspiration to anyone who seeks to improve their company’s long-term strategy year after year.